Since its introduction in the mid 1970's, the dbx 160 series has been the world's most popular line of audio compressors. The classic 160 is used daily in many world class studios. Solid construction, fool proof operation, great sound, at-a-glance metering and a bulletproof output stage all contributed to its popularity with musicians, recording studios, consultants and installers, and broadcast media production people alike. The dbx® 160A is a legendary dbx® 160 family of compressor/limiters. The same classic sound, easy set-up and no compromise metering is now married to an improved signal path and stronger chassis design. The result is industry standard compressor/limiter which is digital-ready and road tough. 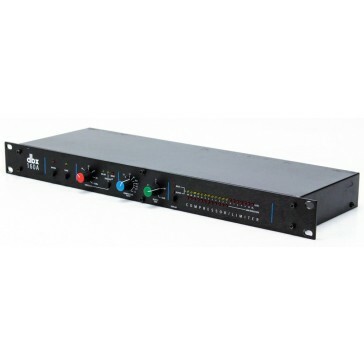 Featuring switch-selectable OverEasy® and Hard Knee compression curves along with extremely wide-ranging threshold, ratio and output controls, the dbx 160A is up to any task. True RMS level detection provides the most natural-sounding dynamics processing available, from subtle compression to "brick wall" peak limiting. Choose low ratios and OverEasy® compression to transparently smooth out fluctuating vocal and instrumental levels. Or use the 160A's Hard Knee compression and high ratios (up to and beyond :1 and over 60dB gain reduction) for bombproof protection against overload distortion in digital recording, P.A. systems and broadcast signals. The 160A is fully compatible with +4/-10dB and balanced/ unbalanced systems, and its electronically balanced output stage is an outstanding line driver for long cable runs (an output transformer is optional). The 19-segment, switchable input/ output LED metering can be easily calibrated to any operating level. 12-segment gain reduction LEDs provide precise analysis at a glance. The dbx® 160A's unique "INFINITY +" inverse-compression mode actually decreases the audio output level below unity gain when the input exceeds threshold, a real lifesaver for correcting overbearing vocal choruses and controlling runaway house mix levels. A detector input can be used with an equaliser for de-essing sibilant vocals and selectively smoothing out boomy notes on acoustic guitar and bass. And two 160As can be stereo-coupled to process an entire mix or instruments mic'd in stereo, without shifting the left/right image. 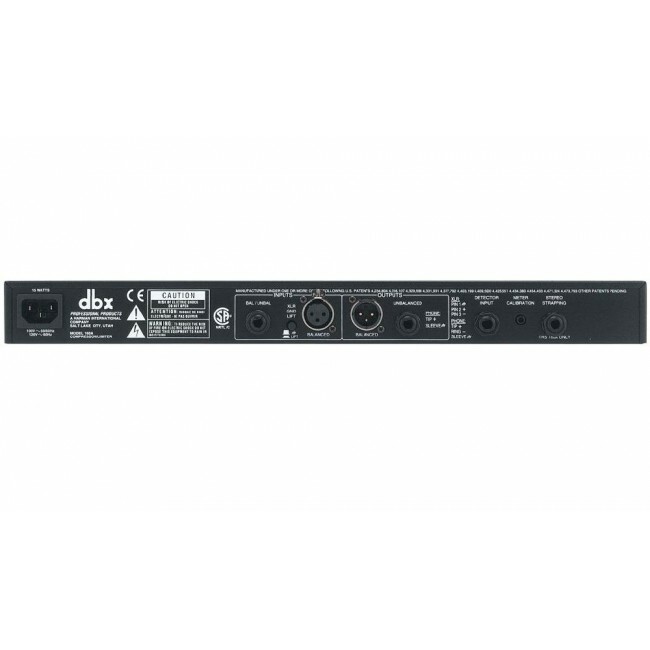 Its musical sound, easy operation and unequaled versatility made the original dbx® 160 a world standard. The 160A follows that tradition, while meeting the challenges of a digital world entertainer in the mix, or overall characteristics of 4 independent signals or control the gain levelling on a couple of stereo pairs, the dbx 160A is for you.